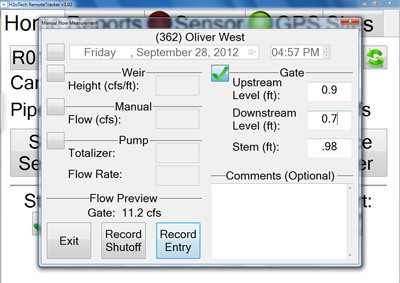 RemoteTracker LT provides the same flow and order data management platform as its big brother, with the main difference being that flow data is collected manually instead of via the wireless water velocity sensor. RemoteTracker LT is perfect for larger agricultural water providers (greater than 25,000 acres) that already have sufficiently accurate measurement devices or smaller agricultural water providers (less than 25,000 acres) that aren’t subject to the accuracy requirements of SBx7-7 (Agricultural Water Measurement regulation). Honestly though, at this point I’m guessing that you’re tired of reading, and I’m certainly tired of writing. If you have any more questions, please give us a call and we’ll schedule a time to show you all the bells and whistles in real time.